Before sending the notice on Sunday, the production house was asked to do the needful on Saturday but there was no response from the team. 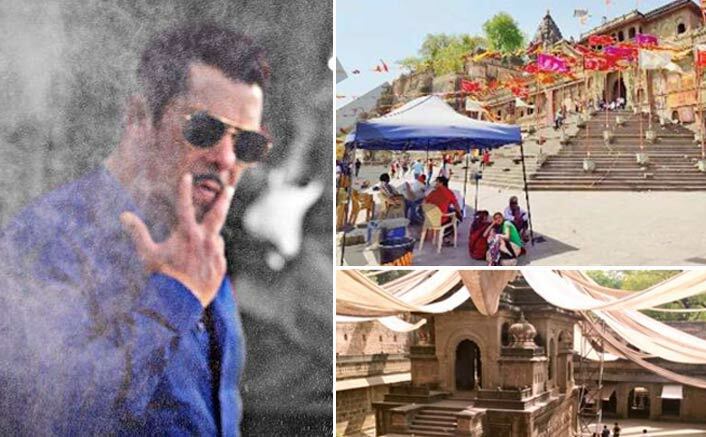 It seems the going is getting tough for Salman Khan and a team of Dabangg 3. After the ‘shivling’ controversy, there is yet another one haunting the makers. The film’s shooting is in process at Jal Mahal in Mandu, Madhya Pradesh. Considered as India’s heritage, the history of Jal Mahal goes back to 10th Century. Archaeological Survey of India (ASI) has sent a notice to the team which asks them to remove two film set pieces which have been constructed inside Jal Mahal. The notice also suggests that all the permissions given to the makers will be cancelled and shooting has to stop if they don’t follow the given instructions. The notice is signed by Mandu Sub Circle ASI Junior Conservation Assistant. Before sending the notice on Sunday, the production house was asked to do the needful on Saturday but there was no response from the team. The notice also stated, by constructing these mentioned sets, that the makers have violated the Ancient Monument and Archaeological Sites and Remains Act 1958 as well as other rules. Not just this, according to some eye-witnesses the makers have also damaged an antique figurine while carrying the heavy objects on the sets. According to a report published in DNA, MP Culture Minister Vijaylaxmi Sadho told reporters in Indore that whatever happened was wrong. “I have taken cognisance of the matter and issued directives to Khargone district collector, superintendent of police and sub-divisional magistrate (SDM),” the minister said. It’s also been said Vijaylaxmi will personally visit the spot to scrutinize the situation.